PT. Toyota Motor Manufacturing Indonesia (TMMIN) today celebrates the start of the All New Kijang Innova mass production in a Line-Off Ceremony held in TMMIN Karawang Plant 1 at Karawang - West Java. The Ceremony is attended by Minister of Industry of the Republic of Indonesia Saleh Husin, Toyota Motor Corporation (TMC) Executive Vice President Seiichi Sudo, PT. Toyota-Astra Motor (TAM) President Director and TMC Managing Officer Hiroyuki Fukui, TMMIN President Director Masahiro Nonami, and TMMIN Vice President Director Warih Andang Tjahjono. 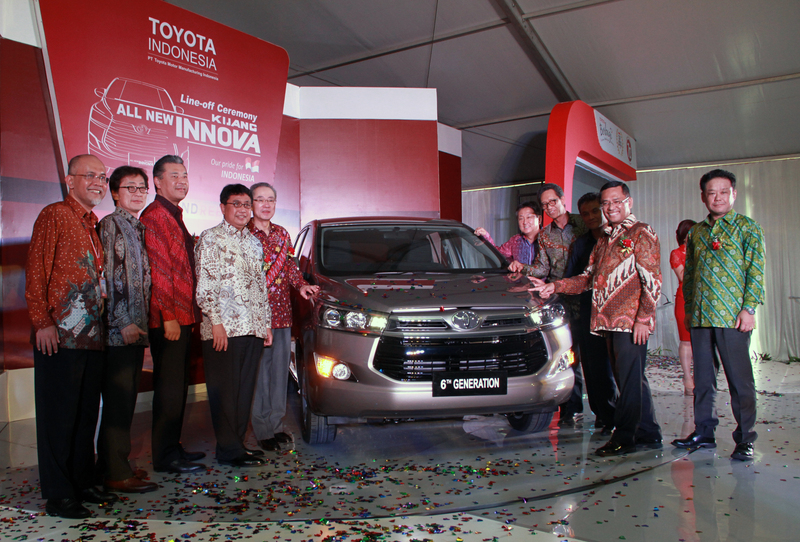 TMMIN Karawang Plant 1 is the first plant in the world to start production of the All New Kijang Innova.